Mar. 9, 2017—The Osher Center for Integrative Medicine at Vanderbilt offers most of the treatments in the new guidelines for back pain recently recommended by the American College of Physicians, but misconceptions about those treatments remain a barrier to care. Mar. 9, 2017—I am relieved that the recent mumps outbreak here at Vanderbilt impacted only a small number of our students, as larger outbreaks over the past year in locations around the U.S. have been a cause for concern. The notice reminded me of the importance of vaccination, and the vital role our Medical Center plays in public safety. And it caused me to think about how fragile that safety can be, and what we can do to assure it. Mar. 9, 2017—Editor’s note — This is the first in a series of profiles on some of Vanderbilt’s most dedicated employees. All VUMC employees are encouraged to attend Celebrate — The difference YOU make every day on April 20 or 21 at Vanderbilt’s Memorial Gymnasium. Please sign up for one of three sessions at VUMCcelebrate.com. Mar. 9, 2017—Plastic surgeons at Vanderbilt University Medical Center (VUMC) have published a prospective study that proves there are specific risk factors — such as obesity, smoking and diabetes — that contribute to development of a major surgical site infection following cosmetic surgery. Mar. 9, 2017—Monroe Carell Jr. Children’s Hospital at Vanderbilt celebrated Dr. Seuss’ 113th birthday March 2 with a series of activities for Read Across America Day. Special guests read their favorite children’s books throughout the day in Seacrest Studios. Mar. 9, 2017—Frontiers of Biomedical Imaging Science VI, the sixth biannual conference sponsored by the Vanderbilt University Institute of Imaging Science (VUIIS), will be held May 16-19 at the Vanderbilt Student Life Center. Mar. 9, 2017—Roderic Pettigrew, Ph.D., M.D., right, director of the National Institute of Biomedical Imaging and Bioengineering of the National Institutes of Health, poses for a photo with Vanderbilt’s John Gore, Ph.D., left, and André Churchwell, M.D., following his recent Flexner Discovery Lecture. Mar.  9, 2017—With the help of a drug formerly used to treat HIV/AIDS, researchers at Vanderbilt University Medical Center (VUMC) have found a way to make melanoma cells more vulnerable to targeted anti-cancer therapy.